Possession is nine-tenths of the law, right? But thanks to blockchain, this old adage may no longer be a viable way to settle property disputes. Artists and enterprises alike have long struggled to prove ownership of their work after it has been disseminated, especially when it is uploaded online. What if there was a way to use technology to reliably track asset provenance with absolute certainty, from creation to marketplace and beyond? The reality is that this is already possible with the help of blockchain, and the benefits to the enterprise are many. Let’s follow a blockchain asset through its lifecycle to learn more. 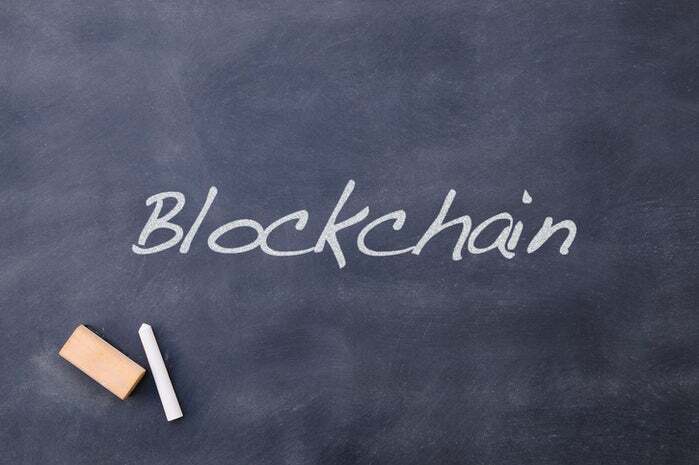 Blockchain is a way of recording information (such as contracts, stock trades, health information, and asset provenance) on a time-stamped distributed ledger that cannot be modified after it has been written. Instead of having one centralized database that houses information, it is all hosted on each node in a peer-to-peer system. Better yet, every node in the distributed network autonomously confirms that the information is correct, and every node has access to it at all times. Examining one use case shows how the overall system functions. Let’s say that my imaginary friend Bill records his dogs barking to use as a custom alert sound or ringtone. This is an asset. He can then assign a unique identifier to that asset so it can be uploaded to the blockchain as a transaction. This asset can now be traced back to him indefinitely. The blockchain is comprised of transactions that cannot be modified or removed once added. Blockchain transactions are grouped into blocks. New blocks are added to the chain by nodes (or network miners), each replicating the chain of blocks, working together to confirm that they are valid, and broadcasting the completed block to other nodes. Each block has a proof-of-work associated with it. This means the network miners must prove they are confirming the same valid information into the ledger. The idea here is that myriad nodes working to confirm valid blocks will overpower any attempts to attack the system by confirming false blocks: everything, everywhere must match and there is strength in numbers. Bill’s creation of the asset is written into the blockchain, secured into a block, and broadcast. Now, all of the nodes in the network contain an updated version of the blockchain showing the immutable addition of Bill’s asset. Bill can now confidently transfer this asset to anyone. Each time it changes hands, the transaction is written to the blockchain to show new ownership. Therefore, the new owner(s) can trace previous ownership all the way back to the creator, Bill. The transaction history cannot be edited, tampered with, or modified in any way due to the secure nature of the blockchain. Deployed in the enterprise, this same model can help track the origin of goods to ensure sustainable use of raw materials, verify provenance of intellectual property, map physical or digital asset ownership, aid in recovery of stolen goods, and more. Blockchain may greatly increase the speed at which intellectual property claims are settled, provide better supply chain transparency, and increase the value of products by providing a clear history of where they came from. Will possession continue to be nine-tenths of the law? Maybe not. We might be on the cusp of being able to prove all ten-tenths of ownership using blockchain.